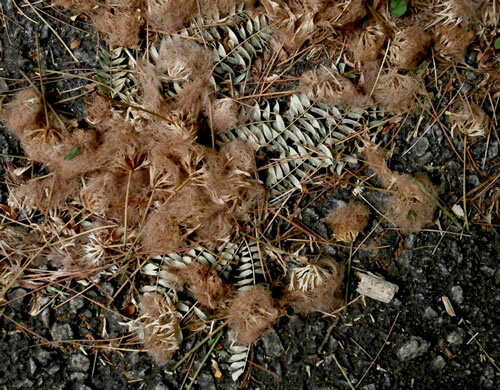 Becoming a serious weed, "literally almost everywhere in the Dixie south", per Weakley's Flora. 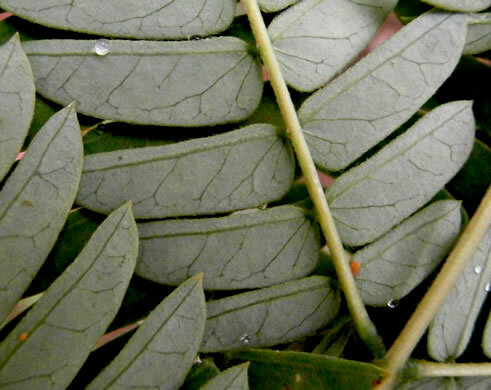 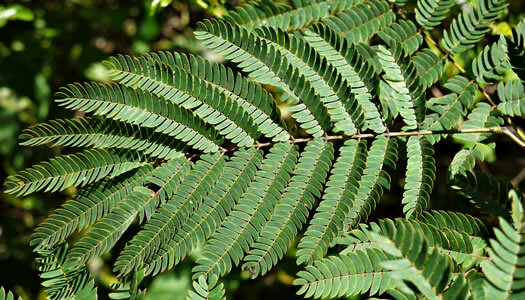 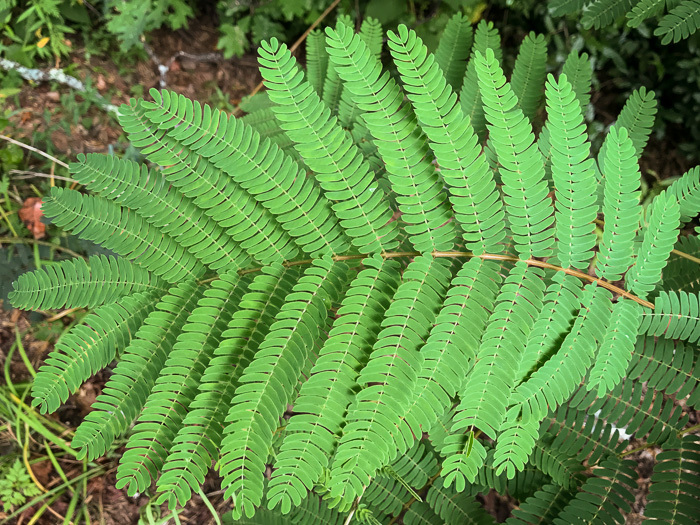 Leaves evenly bipinnate, glandular, with 6-24 approx opposite pinnae, per Vascular Flora of the Carolinas. 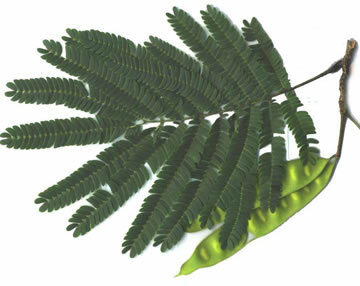 Leaflets strikingly asymmetric, 20-40 per pinna, sessile. 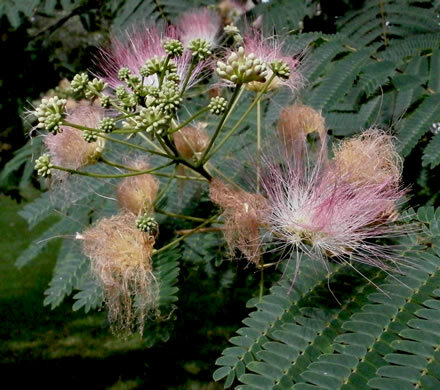 Tree unarmed, per Vascular Flora of the Carolinas. 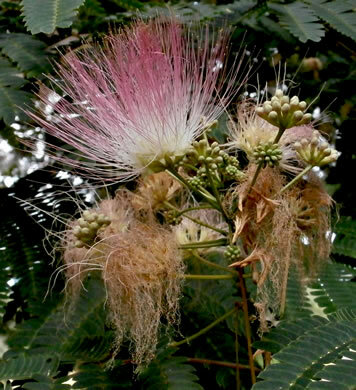 Stamens so prominent that close inspection necessary to see calyx & corolla, per Trees of the Southeastern United States. 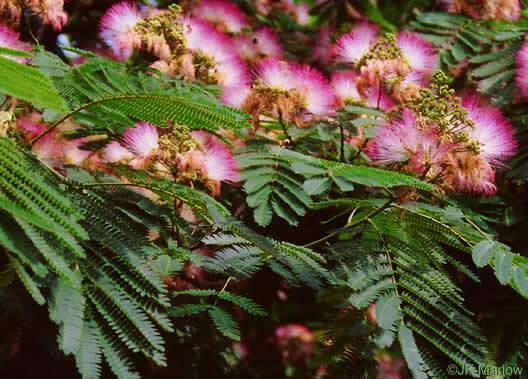 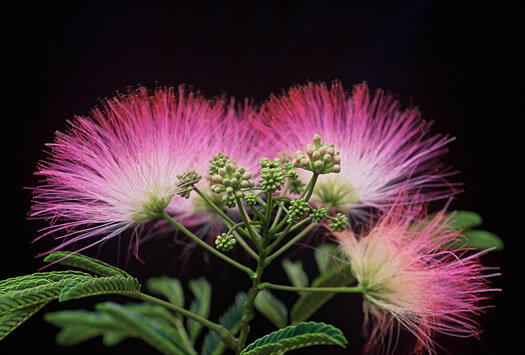 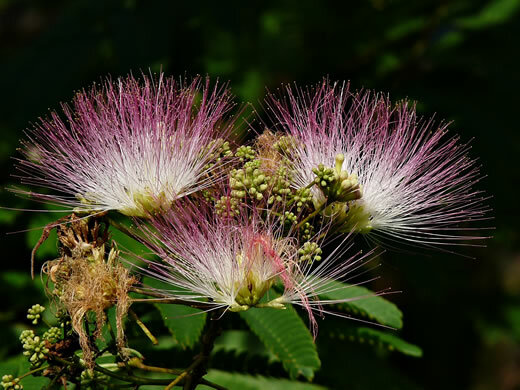 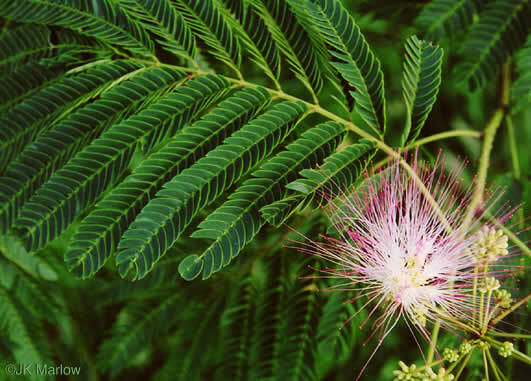 Pompom-like flowers are bright pink with white bases, per Nonnative Invasive Plants of Southern Forests. 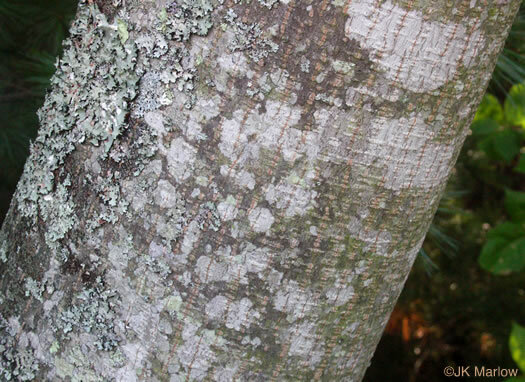 Bark gray, thin, smooth, per Woody Plants of the Southeastern US: A Winter Guide. 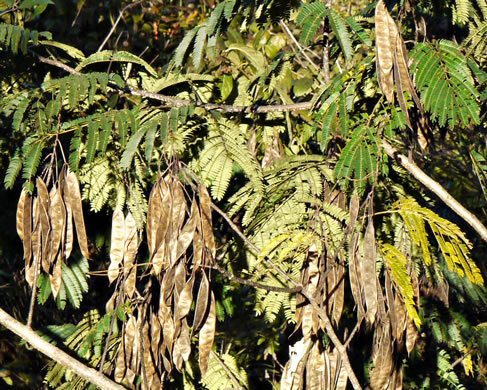 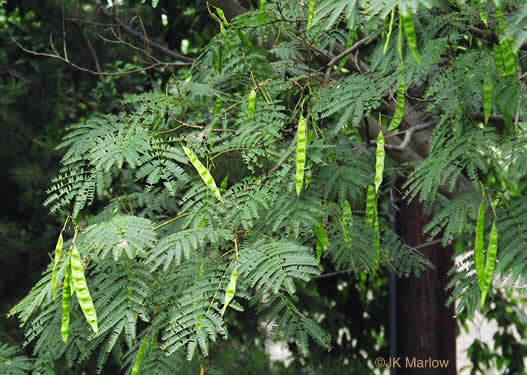 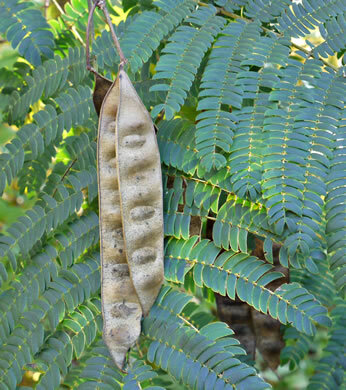 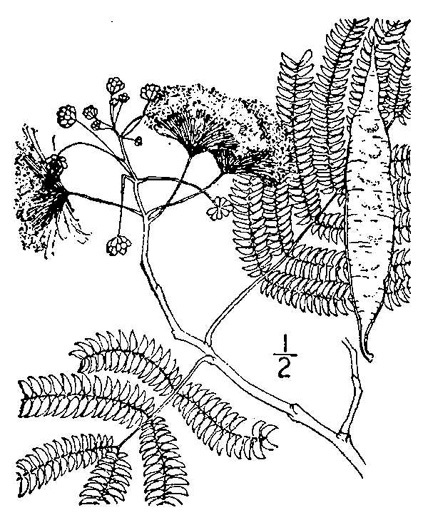 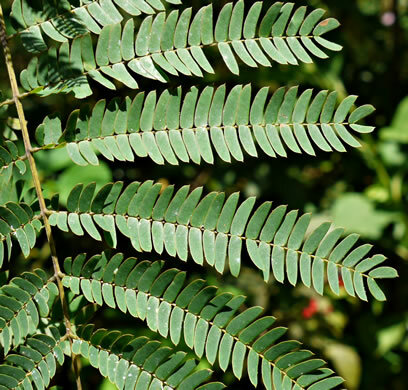 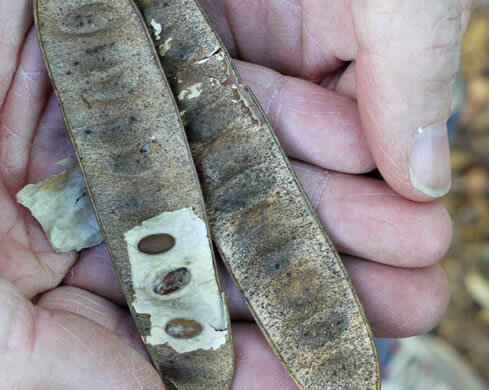 Legume pods are flat with bulging seeds, per Nonnative Invasive Plants of Southern Forests.